Keep your ears warm and/or your bad hair day safely hidden with this comfortable, warm knit PCH beanie. 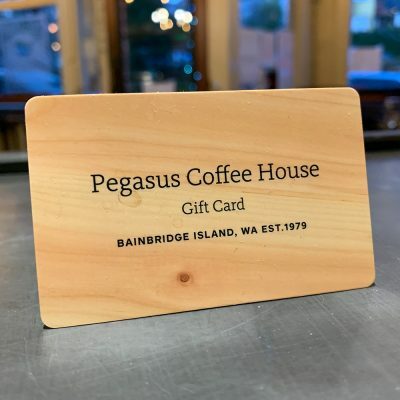 The Pegasus Coffee House logo is embroidered in white thread. • It goes on your head. It keeps your ears warm. It’s a beanie.